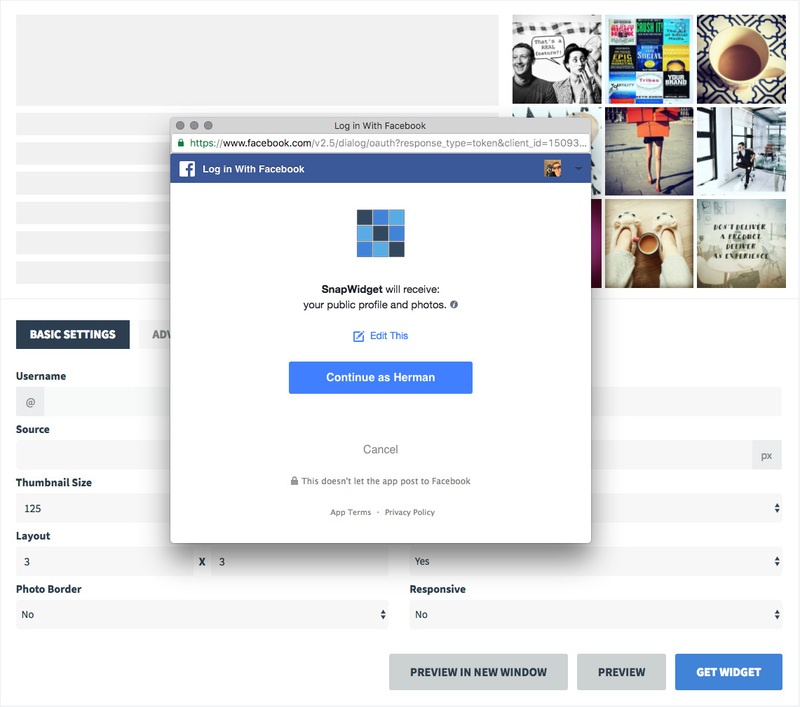 Creating a widget to display your Facebook page photos is just as easy as creating a widget for Instagram or Twitter. 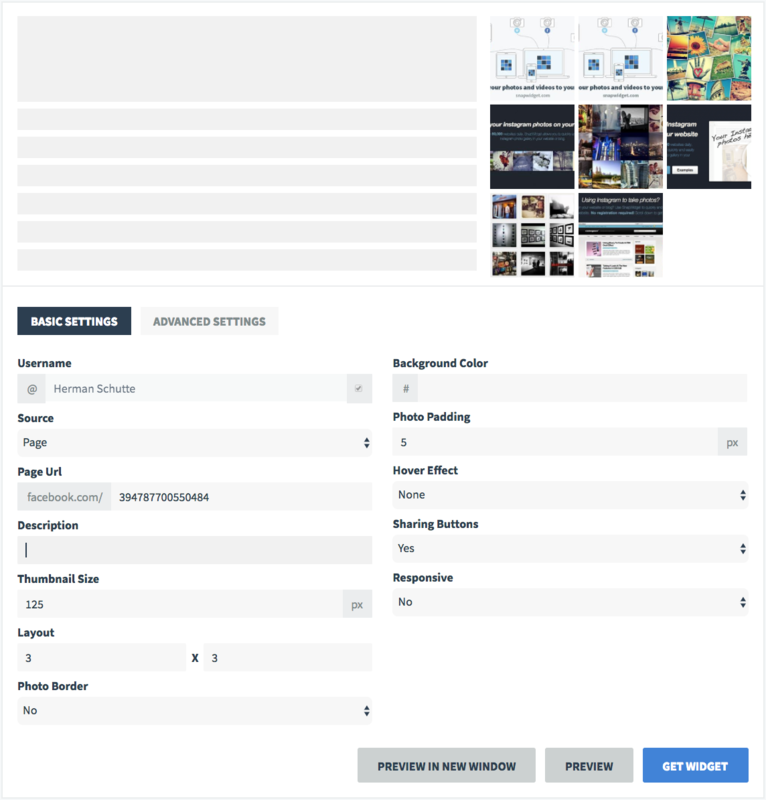 You’ll be able to create a grid, board, scrolling or slideshow widget to showcase your page content. 2. Once you’ve given SnapWidget permission to access your Facebook photos, you can choose a source to display photos from. To display photos for a page album, select the Page source. 4. Then enter the album ID in the URL field. You only need to enter the number. In this example, we are using a Facebook page album with an ID of 394787700550484.